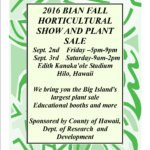 BIAN President and show chair Sean Spellicy would like the Big Island and beyond to mark your calendars for the Big Island Association of Nurserymen 2017 Annual Fall Horticultural Show and Plant Sale to be held Labor Day weekend September 1st and 2nd at the Edith Kanakaole Multi Purpose Stadium Hilo Hawaii, Home of the Merrie Monarch Festival. Friday 5pm-9pm and Saturday 9am-2pm. 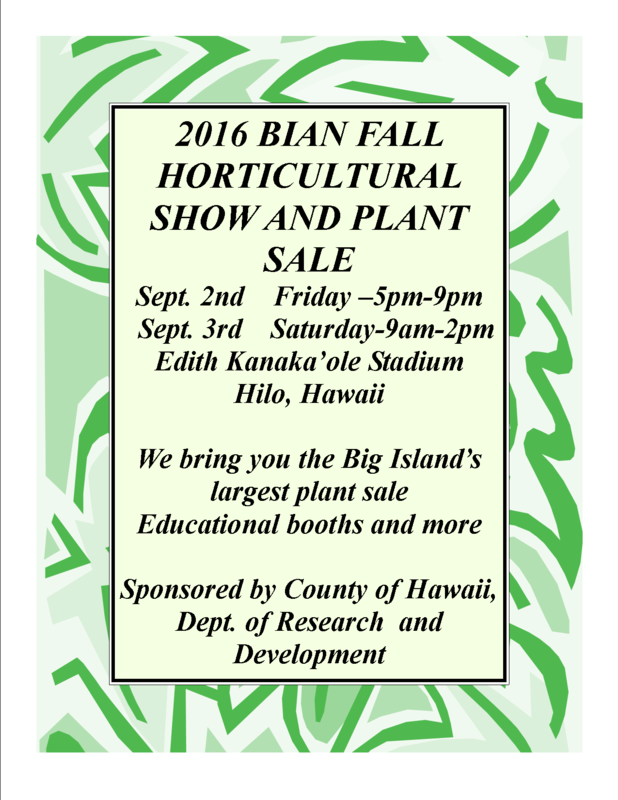 THE 37TH ANNUAL BIG ISLAND ASSOCIATION OF NURSERYMEN PLANT SALE IS TO TAKE PLACE THIS YEAR MARCH 3RD and 4TH 2017 AT THE EDITH KANAKAOLE STADIUM IN HILO HAWAII. FRIDAY 5PM to 9PM, SATURDAY 9AM to 2PM . CHECK OUT OUR NEWLY ADDED NURSERIES IN ADDITION TO YOUR OLD FAVORITES!!!! SEE YOU THERE !!!!!!!!!! 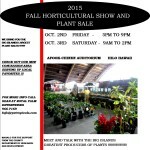 2016 FALL HORT SHOW/SALE IS ON AS SCHEDULE FOR THE LATEST INTRODUCTIONS OF PLANTS DEPT. 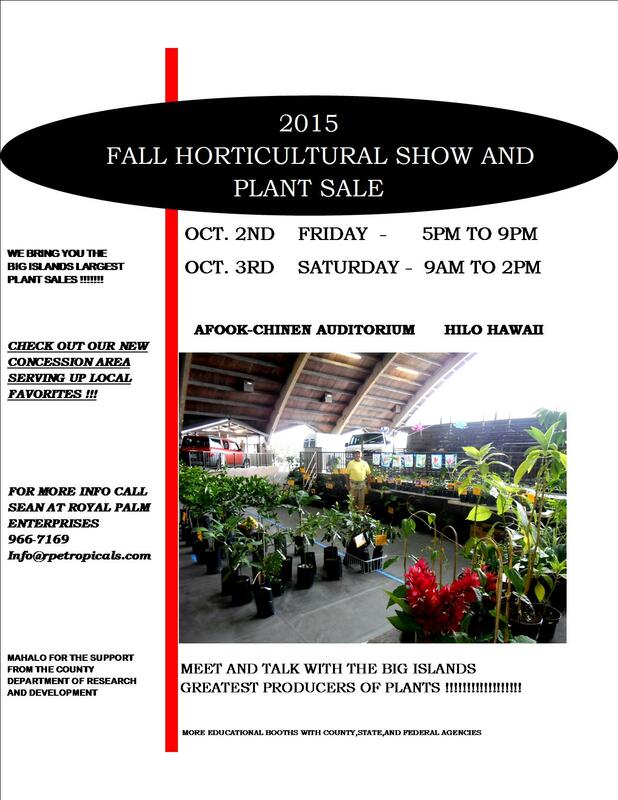 OF PLANT QUARANTINE WILL BE ON HAND TO CLEAR PLANTS FOR INTERISLAND TRAVEL!!! BIAN 36th ANNUAL PLANT SALE president spellicy assures one of the best yet. Posted on March 29, 2016 | Comments Off on BIAN 36th ANNUAL PLANT SALE president spellicy assures one of the best yet. 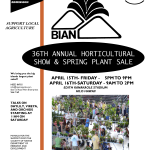 Comments Off on BIAN 36th ANNUAL PLANT SALE president spellicy assures one of the best yet. 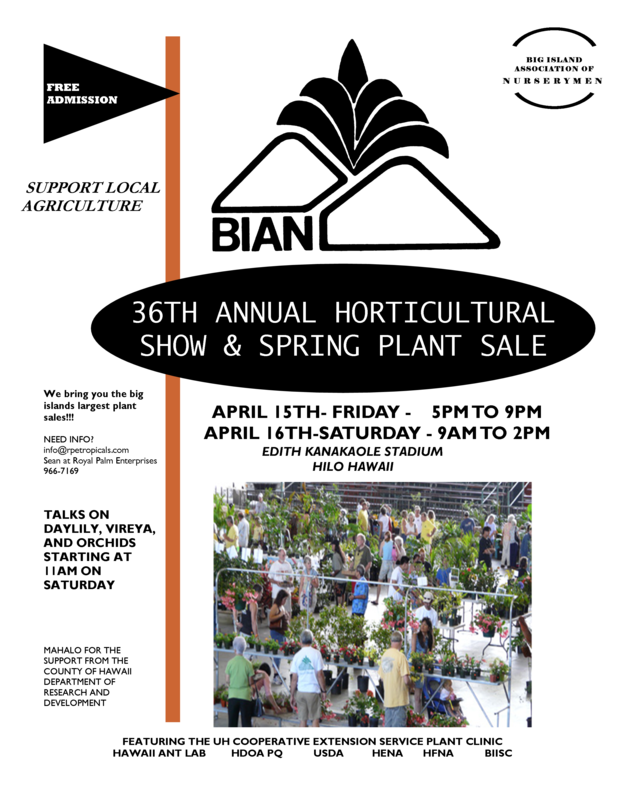 BIAN 2016 Spring Plant sale will be April 15 from 5pm to 9pm and April 16 from 9am to 2pm at that Edith Kanakaole Tennis Stadium (Kalanikoa St. at the intersection with Pi’ilani St.) in Hilo. 2016-2017 directories are now available for download. Click to download the BIAN 2016-2017 Member Directory. 2014-2015 Member Directory and Plant Directory are now available to download. They will open in Acrobat Reader or in Preview (Mac). Click to download the BIAN 2014-2015 Member Directory.